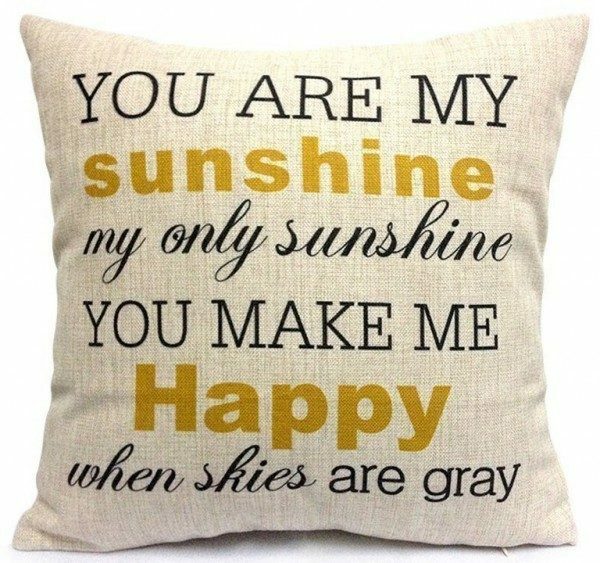 You Are My Sunshine Pillow Cover Just $5.97 + FREE Shipping! You are here: Home / Great Deals / Amazon Deals / You Are My Sunshine Pillow Cover Just $5.97 + FREE Shipping! Head over to Amazon and get the You Are My Sunshine Pillow Cover for just $5.97 plus FREE shipping! This is a great way to change up the look of a room for low cost.